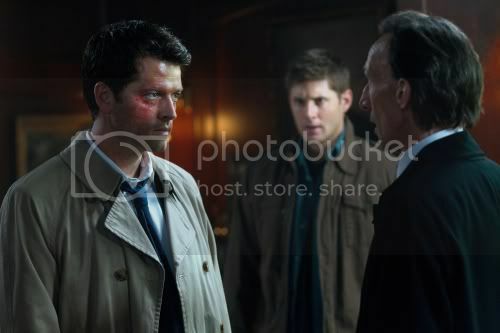 CASTIEL TAKES ON HIS NEW ROLE AS GOD --- Castiel (Misha Collins) doesn't kill Sam (Jared Padalecki), Dean (Jensen Ackles) and Bobby (Jim Beaver) but warns them not to interfere in his business. Assuming his new role as God, Castiel sets out to right some of the wrongs in the world. Dean decides they should bind Death (guest star Julian Richings) and order him to stop Castiel, but the former angel is one step ahead of them, leaving Dean to face a very angry Death. Meanwhile, Sam struggles to deal with the broken wall in his head. Phil Sgriccia directed the episode written by Sera Gamble (#701).